2019/2020 Registration is Now Open for New Students. Effective 3/1/19 all parents with new students to the district must complete the online pre-enrollment for registration. This is not for continuing students. Please click here to begin your online Pre-Enrollment. Learn more about upgrades to classrooms, facilities and technology here​. Want to know whats happening with our Mountain Lions? 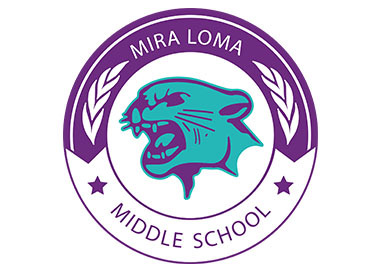 Tune In to @miralomamiddle on Youtube. Our amazing Video Production team brings you the latest news and announcements every morning! Click the video to explore more! Jaycee Pope was honored by the Veterans of Foreign Affairs for placing 1st place and Nataly Lopez placed 2nd for their essays!